1) Do not rebuke an older man but encourage him as you would a father, younger men as brothers, 2 older women as mothers, younger women as sisters, in all purity, 5:1-2. Paul has been talking about training in godliness (3:15-4:16). How do his instructions about the way he rebukes and encourages various groups in the church family relate to his teaching about godliness? 2) Honor widows who are truly widows. 4 But if a widow has children or grandchildren, let them first learn to show godliness to their own household and to make some return to their parents, for this is pleasing in the sight of God, 5:3-4. 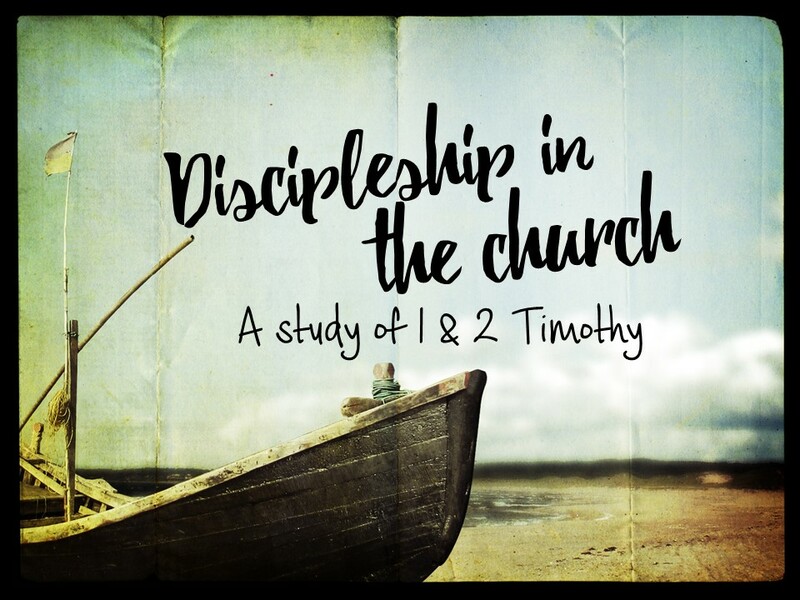 Explain the principles Paul is teaching and how they apply in the church today. 3) She who is truly a widow, left all alone, has set her hope on God and continues in supplications and prayers night and day, 6 but she who is self-indulgent is dead even while she lives, 5:5-6.
Who is a “true” widow? 4) Command these things as well, so that they may be without reproach. 8 But if anyone does not provide for his relatives, and especially for members of his household, he has denied the faith and is worse than an unbeliever, 5:7-8. Why do you think Paul holds such a strong view of the importance of providing for your own family? 5) Let a widow be enrolled if she is not less than sixty years of age, having been the wife of one husband, 10 and having a reputation for good works: if she has brought up children, has shown hospitality, has washed the feet of the saints, has cared for the afflicted, and has devoted herself to every good work, 5:9-10. Why does Paul insist on these qualifications for supporting a “true widow”? 6) But refuse to enroll younger widows, for when their passions draw them away from Christ, they desire to marry 12 and so incur condemnation for having abandoned their former faith. Besides that, they learn to be idlers, going about from house to house, and not only idlers, but also gossips and busybodies, saying what they should not. 14 So I would have younger widows marry, bear children, manage their households, and give the adversary no occasion for slander. 15 For some have already strayed after Satan, 5:11-15. What are the reasons for not regularly financially supporting younger widows? In general, how does this teaching apply to ways we hurt people by the way we “help” them? 7) If any believing woman has relatives who are widows, let her care for them. Let the church not be burdened, so that it may care for those who are truly widows, 5:16. How does this verse clarify the reason families in the church are to care for their own?